The war in Yemen has taken a heavy toll on civilians in the country’s third-largest city Taiz, a new report by Doctors Without Borders (MSF) says. Neither party in the conflict respects international law regarding civilians and medical professionals, it says. The report, dubbed “Yemen: Healthcare under siege in Taiz,” focuses on the hardships which the population and doctors face in the divided city. The city has reportedly lost two-thirds of its population during the war. Around 200,000 people still live in Taiz. MSF has treated over 55,000 war-wounded people in Yemen since the beginning of the conflict in 2015, with over 10,700 of them in this city. Taiz is a divided city, besieged both by Houthi insurgents and their allies, and forces loyal to former President Abdullah Saleh. The central part is held by a ragtag coalition of armed groups, which are united in their opposition to the Houthis, rather than support for forces loyal to former President Abed-Rabbo Mansour Hadi and Saudi Arabia, which supports his claim on the presidency of Yemen. Doctors Without Borders (MSF) operates on both sides of the frontline, but providing healthcare in Taiz is “complicated and dangerous,” the report said. Neither belligerent party respects the neutrality of doctors, or their responsibility to protect civilians, despite these requirements under international law. Healthcare facilities have been targeted by shelling and airstrikes, while clearly marked ambulances have been detained at checkpoints, seized by gunmen, attacked by snipers, and damaged by landmines. In some cases, medical personnel face detention and intimidation, including an incident in October 2016, in which a surgeon was forced to perform an operation at gunpoint, the report said. 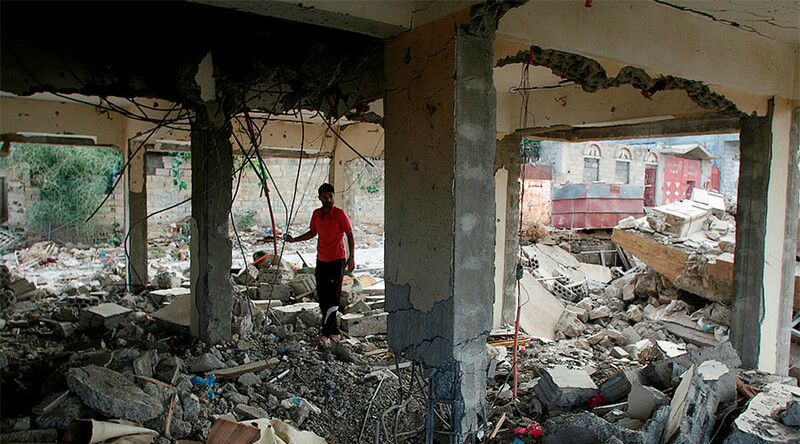 Civilians not only suffer from indiscriminate attacks, sniper fire, and landmines – they often cannot receive medical treatment when needed, as many hospitals in Taiz have been damaged and are no longer operational. Travelling to those still operating is often dangerous. “People needing care have only two options: Stay in their houses and bleed to death, or take the risk and come to the hospital to save their lives. They don’t feel safe,” an ER supervisor explained in the report. 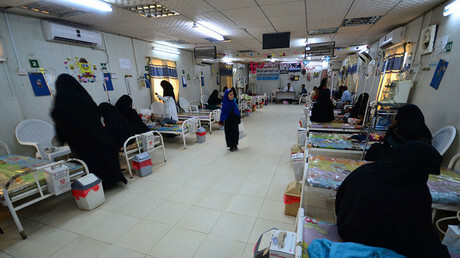 The deteriorating healthcare situation is aggravated by a severe lack of medical equipment and supplies, due to the Saudi-led coalition’s air and naval blockade of the country. The grim picture of Taiz as described by MSF is similar to that detailed by Amnesty International in November 2016. Amnesty said anti-Houthi fighters terrorize medics in the city. The conflict in Yemen erupted in March 2015, when Houthi rebels ousted President Hadi, who had refused to step down at the end of his term. Hadi fled to Saudi Arabia, which launched a military intervention in Yemen to put him back in power. The conflict has claimed over 10,000 lives so far, according to UN estimates. Saudi Arabian airstrikes have caused a large amount of civilian deaths in Yemen, with some of the killings apparently constituting war crimes, according to international human rights organizations. The blockade of the country has contributed to severe shortages of basic goods like food, fuel, and medicine. The UN says Yemen may face a full-scale famine in 2017. The Saudi-led campaign is facilitated by sales of weapons by countries like the US and Britain, as well as targeting intelligence and air refueling provided by the Pentagon. Riyadh denies committing war crimes in Yemen, claiming that it properly investigates all reports.